A new hydro power generation site has been identified in Buca Bay not far from the site where a $10 million hydroelectric power plant is currently being constructed. The hydroelectric plant is scheduled to be commissioned before Christmas this year. A few hundred metres away from the Buca Hydro Power House is a new hydro site, powerful enough to generate 1MW power capacity. Negotiations are expected to take place soon with the Buca Hydro Project financier TEMSAN, a Turkish Government-owned hydroelectric company which is funding the Buca Bay project. TEMSAN is a unique Turkish company with a successful 32 years in the production, establishment, operation and maintenance services of energy installations with the two factories in Ankara and Diyarbakr. The ministry and relevant local stakeholders, including the Government, are likely to submit a report seeking the development of the new site. The Minister for Works, Transport and Public Utilities, Colonel Timoci Lesi Natuva, inspected the Buca Hydro Power Project last week and was told by the Department of Energy Department officials about the new hydro site. “We will probably write to the Turkish Government to see if it can facilitate the developmet of the new site,” he said. It is estimated the new site can be developed for $10 million, according to Turkish engineers working at the Buca Hydro power project. Department of Energy officials have revealed that the 1MG capacity will further increase power supply around Buca Bay peninsula and the grid can be extended to the Natewa west coast areas and down to Nakobo and Bagasau, which is about 60 kilometres from the hydro site. The Fiji Electricity Authority is currently extending its Savusavu grid along the Buca Bay Road to Bagasau and if the new hydro site in Buca is further developed and materialised most coastal areas along the main Buca Bay road will be powered and more commercial activities could open up in the area. The ministry has also signed a contract with a Chinese company for road upgrading works along the main Buca Bay Road. Meanwhile, Department of Energy officials are working tirelessly to complete the Buca Hydro power project. The heavy downpour experienced along the area several weeks ago has slowed construction work. However, the Department wants to commission the hydro power project before Christmas and the focus is geared towards that. Minister Natuva has been impressed with the works being carried out, considering the geographic location of the site and the continuous heavy down power in the past six weeks. The power house is completed and is waiting for the 100 penstock pipes left to be connected to complete the final phase of pipe works that will link the powerhouse and the actual hydro dam. A total of 400 penstock pipes have so far been connected and engineers working at the site are optimistic that the connection will be completed this week. The hydro dam, once completed, will have the capacity to supply 25KW power to Buca and Tukavesi villages and the Kanakana area. Engineers have completed the installation of a 11kv transmission line with completed step up and step down transformers already installed. The installation of low voltage overhead lines through villages is in progress while the house wiring work and power house construction are complete. At the dam site proper the clearing and structure profile has been completed with rock drilling almost completed before the commencement of the steel structure construction. A specially-designed carting machine is the only means of transporting dam materials at the site since no other normal vehicle is capable of reaching the site because of the harsh terrain and location. The Chairman of the Buca Village Development Committee, Iowane Naiveli, said there was huge enthusiasm in the area, especially along Buca Bay, following the construction of the new hydro dam. He said other villagers nearby as well as tourist operators and estate owners who will benefit from cheaper electricity under the project. Mr Naiveli said this has been a 15-year project and the people of the two villagers are looking forward to its commissioning. He thanked the current Government for finally bringing power to their doorsteps. The Prime Minister, Commodore Voreqe Bainimarama, is expected to commission the new Buca Bay Hydro Electric Project. VILLAGE by-laws proposed by the Government to arrest criminal activities in rural areas will take some time before provisions are fully implemented. Tailevu Provincial Council chairman Joseva Seruilagilagi made this comment after the two-day provincial council meeting yesterday saying for the province at least, it could be another year before villages would fully act under those by-laws. He reasoned at present, the department of i-Taukei Affairs was in consultation with the Human Rights Commission, the Citizens Constitutional Forum and other relevant human rights and constitutional organisations to gather its views on those proposed village by-laws. "It will take some time because right now, we need to get their (human rights and constitutional organisations) views because Fiji has signed up on a number of conventions and we need to ensure that that does not clash with the by-laws," Mr Seruilagilagi said. 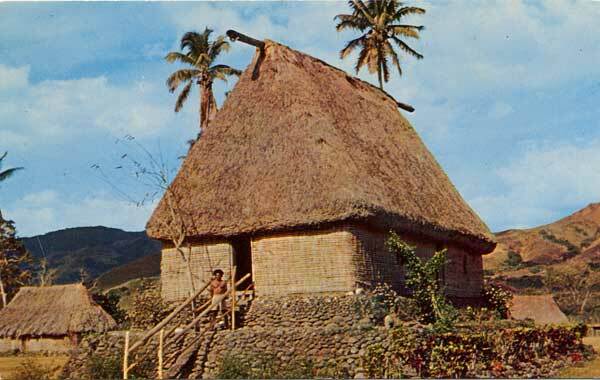 The proposed by-laws for all villages in Fiji were prompted by the noted increases in disorderly conducts and criminal activities in villages. 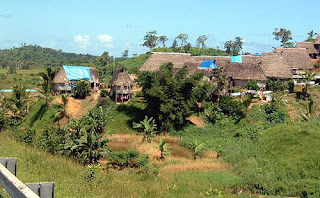 At its earlier provincial council meeting in May early this year, it was discussed that the department of i-Taukei Affairs had also seen the difficulty of villages in formalising village laws, thus the proposed by-laws to speed up this process. The provincial council's report stated that after the Government received and analysed submissions from all villages, it would then be discussed by the ministry and Cabinet before the by-laws are approved, gazetted and distributed to the villages as law. Mr Seruilagilagi said this would take some time but it would greatly assist in law and order in villages. MORE than 1200 mangroves were planted along the seashore of Mali Island this week to restore the habitat of marine creatures. Ligaulevu villagers and members of the Fisheries and Forests Department came together to plant mangroves under the Plant a Million Trees campaign and to celebrate World Fisheries Day. The theme for World Fisheries Day was "Healthy Habitat - Plant Mangroves". Divisional Forestry Officer Eliki Senivasa said planting trees helped restore degraded coastal areas. "The seashore has been affected because of the collection of firewood and small development within the island," he said. "These are minor but signicant damage because it is affecting our marine ecosystem. "There is an urgent need to protect our fish habitat. "What I gather is 70 per cent of fish in the Suva market are from the north. Fishing has become a major revenue generator for people here, and it is only through protecting and restoring fish habitat that people will be able to invest in fishing." Mr Senivasa said it was important for individuals to continue similar efforts. "This activity by the government department has triggered village interest and we hope they continue planting mangroves along the seashore because mangroves provide a habitat for marine life," he said. "Fishing has become the livelihood of many people and mangrove is the main link towards establishing successful fish production." Fiji is rich in marine biodiversity and we must act to protect and manage sustainably this gift of nature for our future generations to enjoy the same, says the Tui Macuata Ratu Aisea Katonivere. Ratu Aisea made the plea yesterday at the first commemoration event of the International World Fisheries Day in Fiji. The two-day celebrations, held in Labasa, opened with a march through the Labasa Town by civil servants, students and supporters - waving a banner high that read ‘Save our Habitat - Plant Mangroves’. Ratu Aisea, who is an advocate for conservation, called on the people in Vanua Levu to adopt sustainable management strategies to protect the environment, especially the sea resources. “I for one am an advocate of the ‘ridge to reef” concept and applaud the Government, in particular the Ministry of Fisheries and Forests, for their commitment to improve the sustainable management of the connectivity of land and marine resources,” Ratu Aisea said. The Macuata paramount chief said having the celebrations for the first time was a timely one, given the intense involvement of local communities, civil society and Government partners to reduce threat to inshore fish stocks. “We need to collectively step up to ensure that our current needs are met and our future generations inherit a bountiful and healthy fisheries resources,” the chief said. The theme for the World Day Commemoration in Fiji: ‘Healthy Habitat, Plant Mangroves’ encompasses a concept now advocated globally and nationally. This is the ridge to reef or the ecosystem-based management approach to sustainable natural resources use. Ratu Aisea said the approach augurs well with the Ministry’s plant-one-million-tree campaign. “As island communities of small land masses in vast bodies of water, out subsistence and economic way of life is driven by the ocean environment,” Ratu Aisea said. 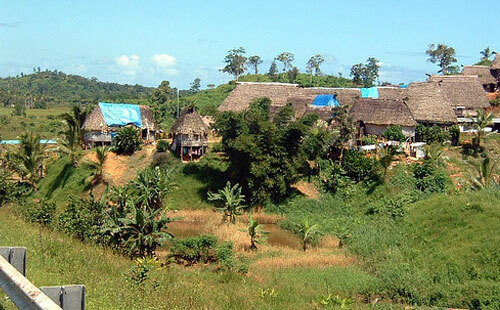 In the past two years, Macuata and Cakaudrove provinces hosted a joint campaign with the slogan ‘I love my tabu area’. This initiative has sparked an attitude and behavioural change in the people towards protecting their marine resources either in the tabu area or outside for their livelihoods. VILLAGERS of Natuvu in Wailevu, Cakaudrove, are enjoying the fruits of their labour with an initial harvest of 177 kilograms of sea cucumber curry fish or beche-de-mer earning them $13,000. According to the Information Ministry, the Dairo Fisheries project also benefited from a traditional fishing ban that resulted in an abundance of different species of beche-de-mer. The first harvest and drying of curry fish took 13 days and was sold to Gold Hold Company in Labasa at $80 per kg. Savusavu fisheries officer Joji Vakawaletabua said the village elders initiated the project after placing a traditional ban on their fishing areas since September 2008. Mr Vakawaletabua said the Fisheries Department provided the advice on the project and employed six village representatives. Village headman Tuisavusavu Vola said after 18 months, elders on the advice by fisheries officers, lifted the ban. "They aim to harvest a total of 300 kilos of curry fish before the traditional fishing ban resumes," Mr Vakawaletabua said. "The $13,000 gained from the first harvest will be divided into three categories ù $7000 for the building of an evacuation centre, $3000 for education and $3000 for the village bank account. At the moment they are harvesting the other 127 kilos." PEARL production has doubled for Navatudua Investment Limited in the past three years says pearl technician Adi Dionani Salaivanua. The Raviravi pearl farm located about 125 kilometres away from Labasa town, seeded about 500 oysters in 2008 and currently seeds more than 1000 per annum. The team was part of the showcase at the World Fisheries Day celebrations in Labasa yesterday. Ms Salaivanua said village members at the farm have had successful productions ever since they started marketing the pearls. "We used to sell oysters to Pearls Fiji for $4 a kilo. This carried on for one and a half years then we decided to take on the challenge ourselves. Now we sell it to tourists that come to Nukubati Island Resort and sometimes wholesale pearls to jewelers from abroad. The prices range from $50 and $500 depending on the grade of pearls." The company purchased its only set of seeding tools for $7000 three years ago and look forward to a new and advanced set of seeding tools. "The village members help with the cleaning of oysters, drilling, harvesting and the deployment of spat collectors. These attract baby oysters called spat," she said. She said they plan to extend the farm.It takes about 18 months to prepare oysters for harvest. "We also plan to extend our farm and buy more oysters from villagers popularly collected from the reefs in Galoa and Macuatawai." According to Ms Salaivanua it takes about 18 months to prepare oysters for harvest. A NORTHERN chief believes enforcement of corporal punishment will help fight criminal activities. Tui Wainunu, Ratu Orisi Baleitavea said his district in Bua would enforce corporal punishment of spanking on his villagers found guilty of any crime. 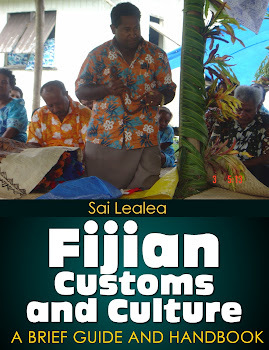 He said the Fijian way of living was different from the western world and its laws. "Corporal punishment like spanking works well for my district because it creates this boundary for my people and makes them realise how serious the village elders are about discipline," he said. "It was always used in Wainunu during my young days and it worked well. We will continue to enforce it." He said whenever there was laxity of the spanking law by village elders, he noticed the younger generation would step out of bounds and misbehave. "When we relax spanking and corporal punishment, the younger generation always have this boldness to do whatever they please which results in hurting others," he said. "That is what we don't want so in promoting respect for others, corporal punishment will be enforced in our district." He said corporal punishment was a better alternative than evicting villagers from their homes because of drug dealings. In August, Visoqo Village in Namuka in Macuata launched a village law to punish any villager found cultivating marijuana by spanking. The law was launched in conjunction with the youth program that aims to stop youths from engaging in criminal activities, including drug-related issues. According to Visoqo village spokesman Jone Waisele, the village accepted the rule. Visoqo youths earlier presented their i soro to Tui Namuka, Uate Saviri, asking for forgiveness for the wrongs of the past. They vowed not to participate in drug cultivation in Namuka or entertain other criminal activities. According to the Visoqo village law, anyone found guilty would be spanked three times.